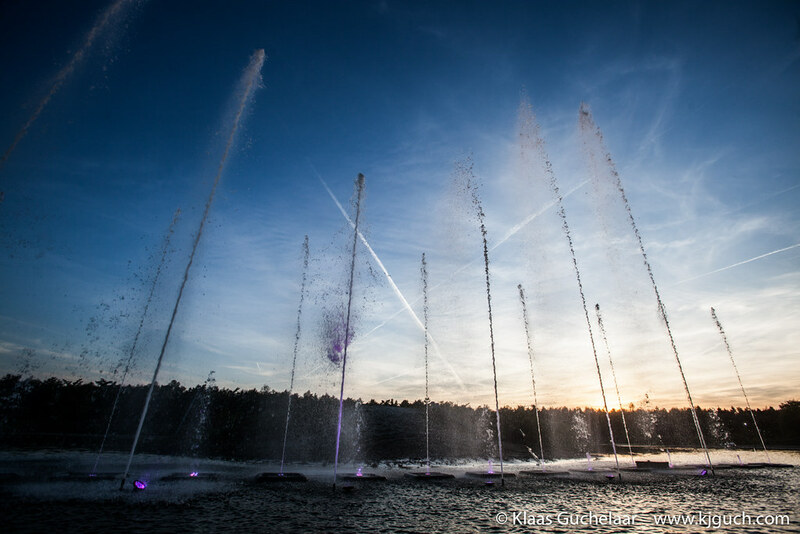 On May 5 freedom is celebrated all over the Netherlands and we do this with music! Oh alright: and with messages on the importance of freedom, freedom of speech and the general idea just to be nice to each other. But mostly music. All over the Netherlands there are ‘Liberation festivals’ and national and foreign act can be found on many of these festivals. I visited the one in my hometown: Assen! And to be honest that is a bit of a change. In the past years the festival in Assen wasn’t all that. It got to such a low point several years ago that it was openly discussed to move the festival to another town. Lack of funds meant no big artists and that meant that many of the younger festival goers opted for the huge festival in Groningen (as did I). Also the location on a dull huge parking lot was far from perfect. 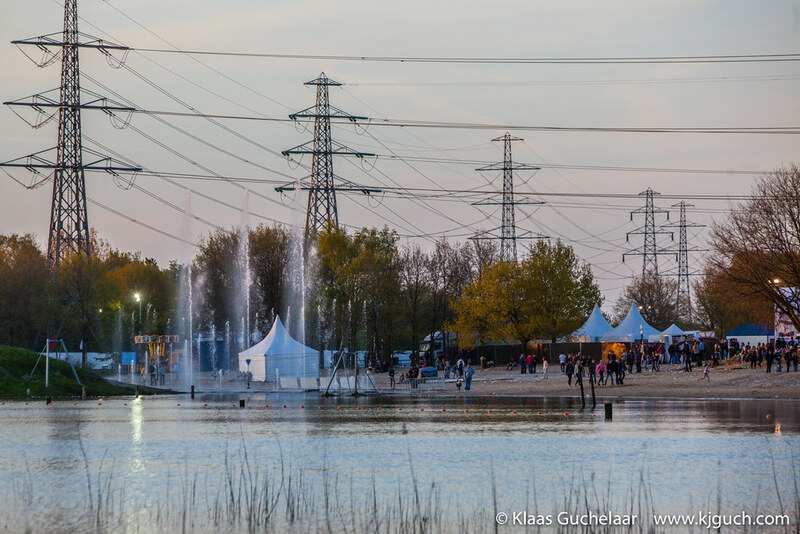 However that has changed now, the Bevrijdingsfestival has been moved to the recreational area ‘Baggelhuizerplas’ where there’s a bit of a beach, it is out in the open, well contained and if the weather is willing, it is about as perfect as can be! And boy was the weather willing, it was sunny and warm. So warm that I chose to go for a ride on the roadbike first. After 80+km and a little rest I went to the festival myself (unfortunately having missed Kovacs and Moke, but you cannot have it all). As I arrived one of the main headliners and definitive crowd drawing bands Di-Rect was playing. Funnily enough almost 10 years ago I saw the same band play in Assen too, at Kadepop and I couldn’t help but think of that for a short moment. Back than with a different singer and still very much a teenage poprock band. Now the band has well matured and it’s easy to see why they’re so popular. 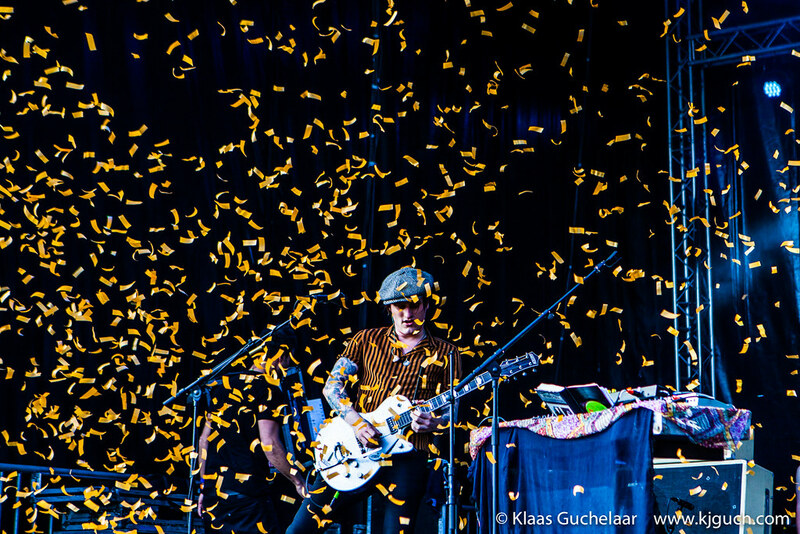 ‘Spike’ on guitar and Marcel Veenendaal as leadsinger really know how to work the crowd and the concerts was an absolute blast. 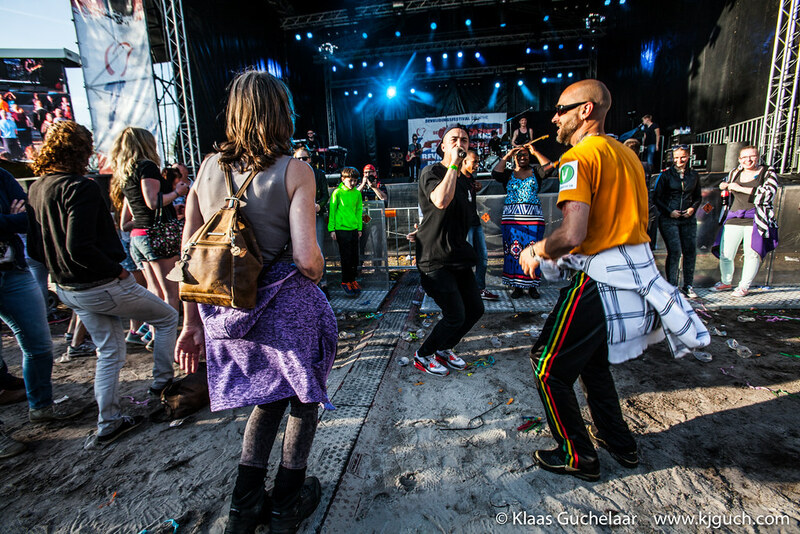 From the main stage to the ‘talent-stage’ where Wolftone was starting. 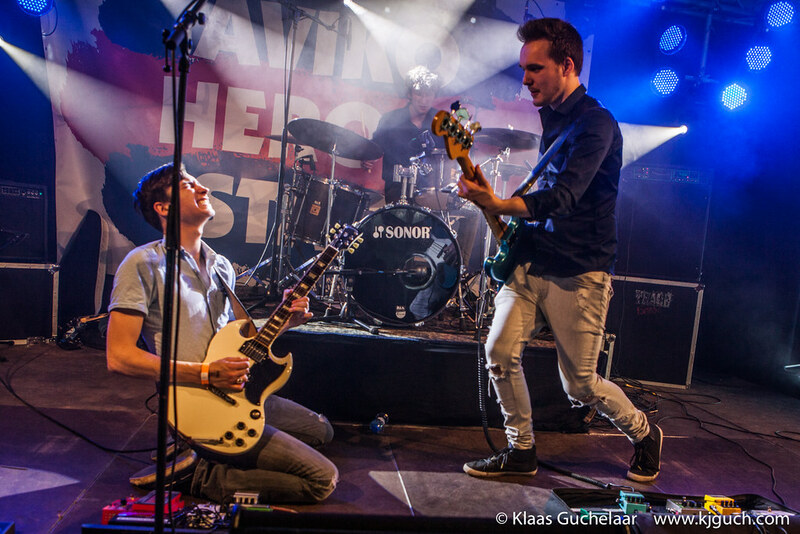 The band Wolftone is a trio with energy for ten! They’re loud, wild and absolutely fantastic. 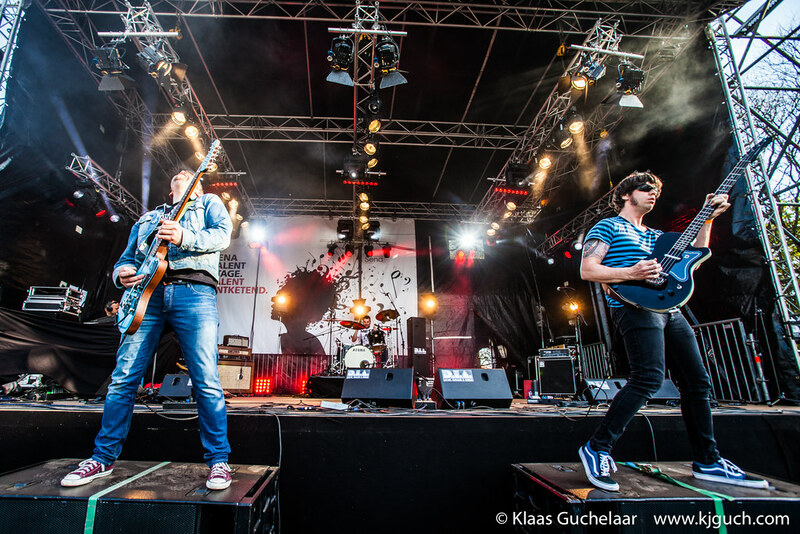 They prove without a doubt that Drenthe is a really good breeding ground for superb bands. 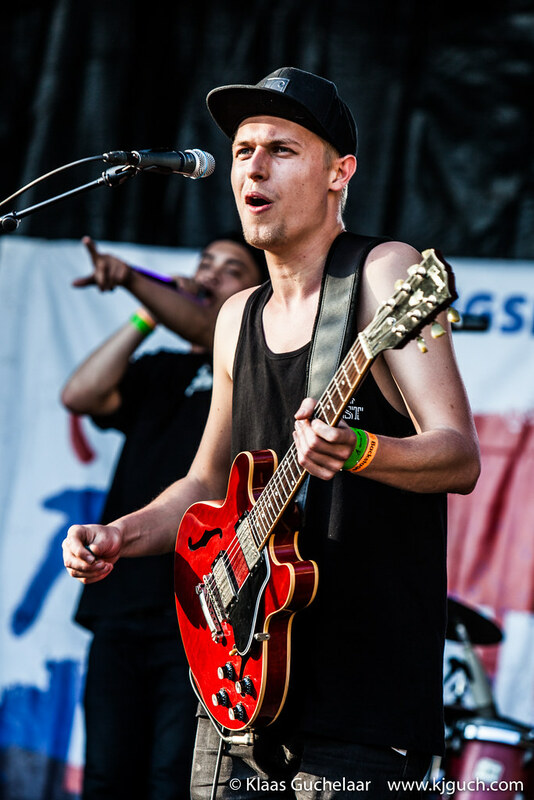 Back on the main stage The Cool Quest played, a band from Zwolle playing funk & Hip-Hop. Lovely for the late afternoon sun, but unfortunately they played at time where the audience was a bit low. The band would have benefitted from a bigger crowd I think, but still played an great gig. Loved the little instrumental ‘Prince-intermezzo’ the keyboard-player and guitarist did. It was a bit nuts at the Talent stage when Canshaker Pi played. 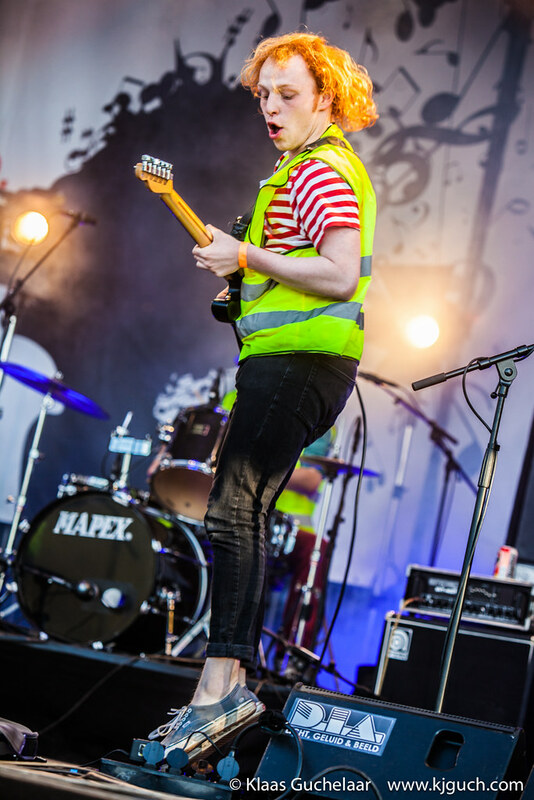 Dressed in bright yellow warning jackets the Amsterdam band unloaded wild garagerock over the audience and jumped, crawled and ran over the stage. Terribly danceable, superbly fun. Awesome! 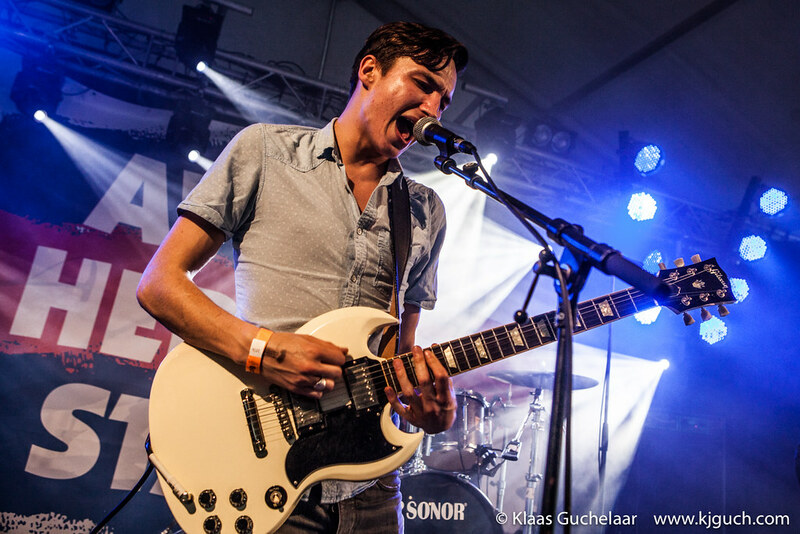 As the next band was announced on the main stage -Mooi Wark- I slipped into the Aviko stage tent where Broken Benn was playing, a band from Emmen (more serious talent from Drenthe). And unfortunately there were not only about to announce the last song, but also mentioned that this might very well be their last gig as the drummer is about to go off to college (Don’t! 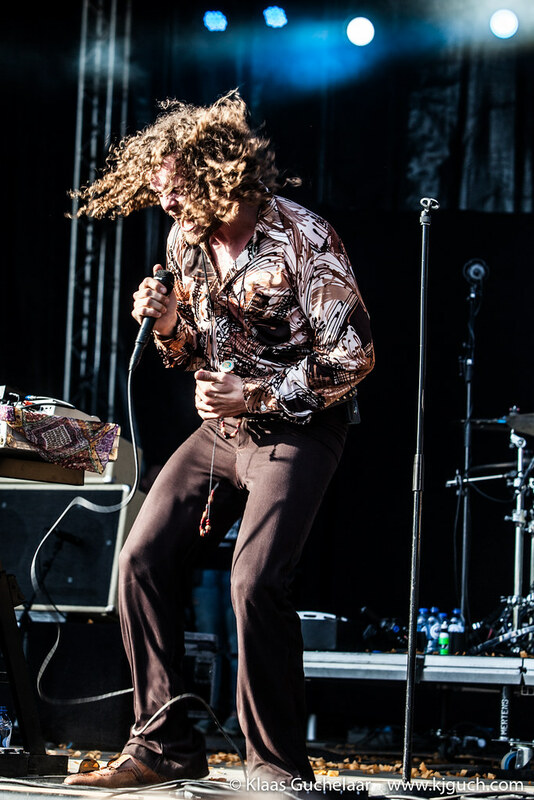 There’s so much more fun touring!!!). What I heard from the band was a pure, solid rock-trio and it would really be a shame it it’s over now. After that I felt I’d more than had it for one day. A long bike ride and a good 4 hours of festival and music were beginning to demand some rest. 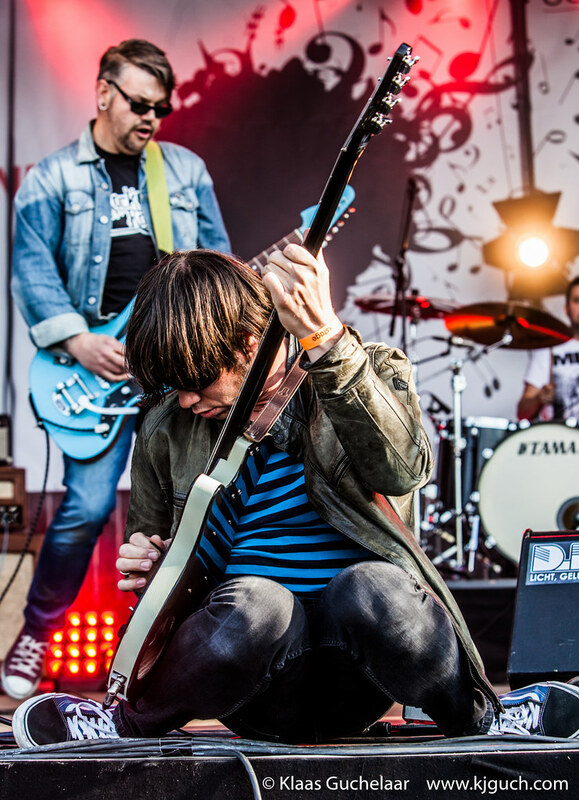 But I cannot emphasise enough that it was an absolutely superb edition of the Bevrijdingsfestival in Assen: great location, finally some really good names on the stages and a great relaxed atmosphere, it was terrific! 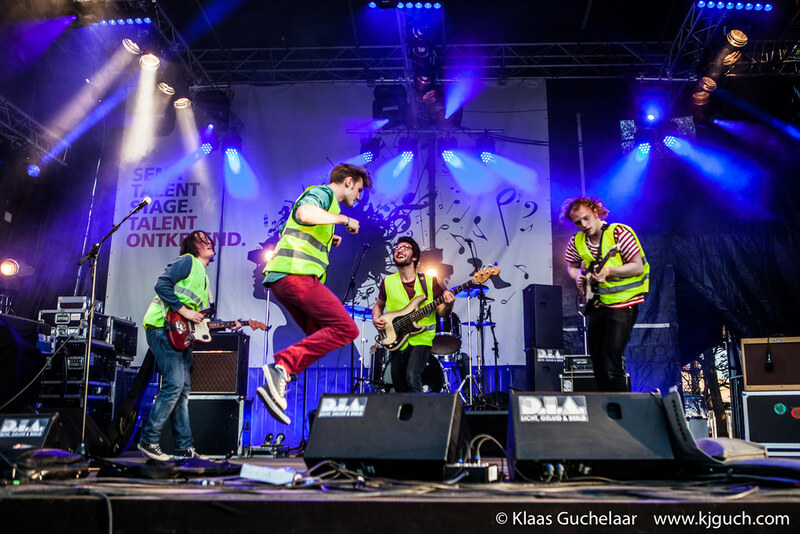 New Cool Collective in Assen!